I found a copy of Amazing Spider-Man #14. Just wondering what it's worth? 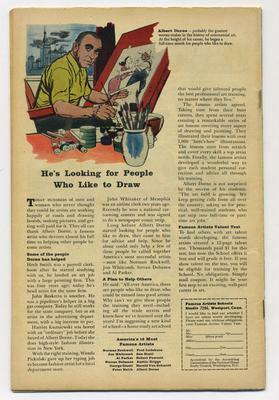 Editor's reply: this is a very desirable comic! 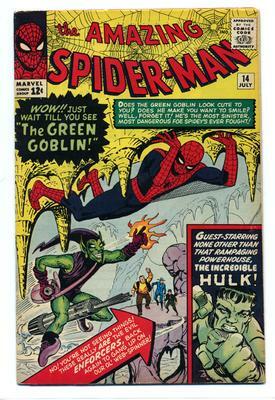 It is the first appearance of The Green Goblin in comics, Spider-Man's most infamous foe and the villain in the first Tobey McGuire Spider-Man movie. An obvious choice really. I was surprised when the reboot featured The Lizard, which was one of the last monsters I would have chosen, but I digress. 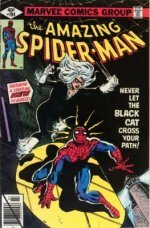 Here is a listing of current eBay items for Amazing Spider-Man #14. 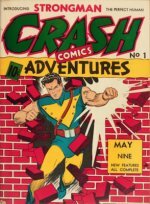 This comic book is certainly valuable. I can't properly rate it for you from the tiny pics provided. If you'd like to get in touch with better quality pictures, that would give me a better idea of its value. Good luck, and let us know if you'd like to sell it.